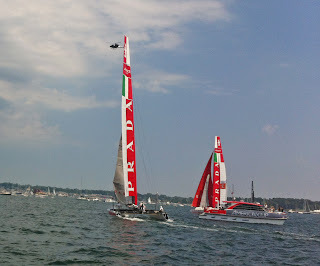 It was an exciting day for many as the America’s Cup final was about to take place in Newport, Rhode Island. 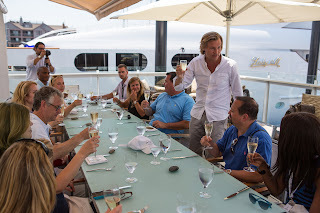 I had come along with a few other select journalists as the guest of Moet & Chandon Champagne, a sponsor of the event. It had been a whirlwind trip and that was not about to change. I slept until 8:00 and took a walk downtown on the unusually warm New England day. I was back in time to meet the group in the lobby of the Hotel Viking to head to 41 North for a champagne brunch with the Moet & Chandon executives. 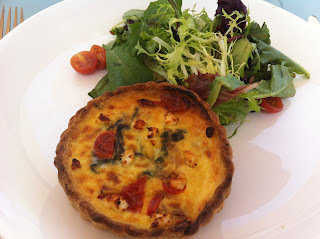 It was a beautiful scene and I enjoyed my quiche with the bubbly, while others raved at the Lobster Eggs Benedict. We talked about the boat we were going to get on to watch the races and I had to admit I was a bit nervous. The words “small vessel” and “strong waves” did not exactly get me motivated. My fears dissipated when I saw the actual boat – or should I say, yacht. It was a beautiful boat that had plenty of room and comfy couches. We also had lots of champagne, cheese, crackers, salads and bottled water. They even had sea sickness bands and sunblock to make our four hours as comfortable as possible. I have to say it was one of the most exciting experiences of my life. 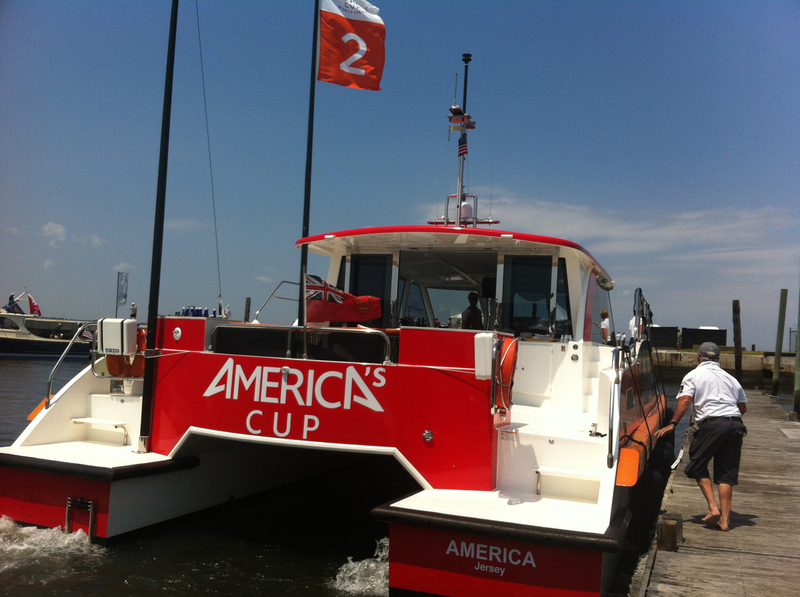 We were the official Mark boat and the finish line for the catamarans so they had to come very close. We watched them all come by the boat and cheered them all on. 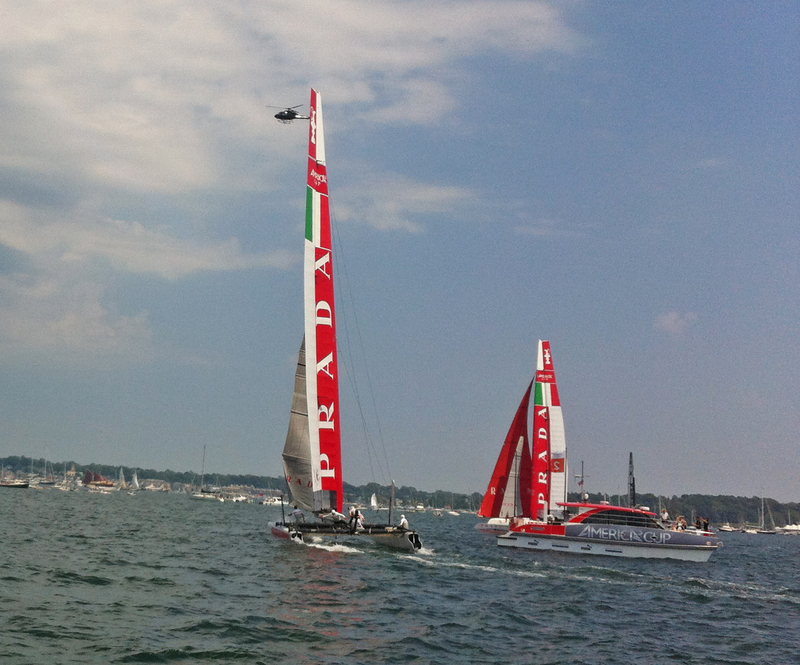 In the end, it was Oracle Team USA Spithill that took the top prize. When we got off the boat we were in the America’s Cup Village and we went to celebrate with the racers in Club 45. The outside awards ceremony was moved inside when a strong thunder storm came in. 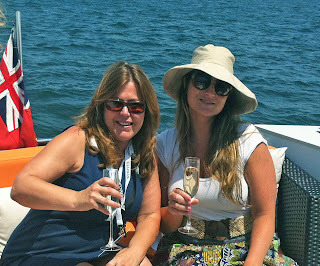 It was actually quite fun with all the cheering and champagne flowing (and sprouting) everywhere. We were back at the hotel by 6:15 and I was the only one who wasn’t returning to New York City so I bid the rest of the group farewell. I had the evening to meet a friend for dinner before my morning flight home. It was an experience I’ll never forget and I have the champagne bottle to prove it.